LONDON -- Electric vehicles could account for two-thirds of all cars on the road by 2030 in wealthy cities such as London and Singapore due to stricter emissions regulations, falling technology costs and more consumer interest, a study says. The research report was presented at the Future of Energy Summit in London on Tuesday by consultancy McKinsey & Co. and Bloomberg New Energy Finance (BNEF). EVs are becoming more accepted as automakers such as Volkswagen Group and Daimler announce plans to roll out new models in the next few years. Volkswagen presented its I.D. concept car at the Paris auto show, an EV that brand chairman Herbert Diess said will sell for about the price of a Golf diesel and marks the first of 30 new EVs that VW plans for its lineup by 2025. Daimler CEO Dieter Zetsche too has said the company's Mercedes-Benz brand will launch 10 EVs under a new subbrand called EQ as the marque aims to be the market leader in premium electric cars by 2025. To help lower harmful greenhouse gas emissions, governments are trying to encourage their uptake through subsidies and tax breaks and introducing low-emissions zones. Technology costs are also falling rapidly. The cost of a lithium-ion battery pack fell 65 percent in 2015 to around $350 per kilowatt hour, from $1,000/KWh in 2010, and is expected to fall below $100/KWh over the next decade, the BNEF report showed. 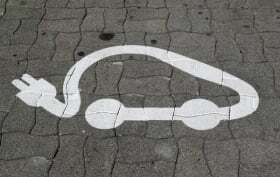 "In densely populated, high-income cities like London and Singapore ... electric vehicles could represent as much as 60 percent of all vehicles on the road by 2030, the result of low-emission zones, consumer interest and favorable economics," the report said. "Electric vehicles could take off anytime," as shifts in social preferences cannot be modelled, Spencer Dale, BP's chief economist, said at the summit.